Members of Margate’s Royal British Legion Club no longer have a premises following the sale of the current base in St Johns Road. The property went under the hammer for £400,000 at the latest Clive Emson auction yesterday (July 24). It has planning permission to convert the upper floors into four self-contained flats. Dave Henwood, senior auction valuer, said: “This is a substantial building that has been used as the Royal British Legion Club for many years. “On the ground floor is the bar and club facilities and on the upper three floors is ancillary office space. “With permission granted to create four flats we had interest from builders, developers and investors. 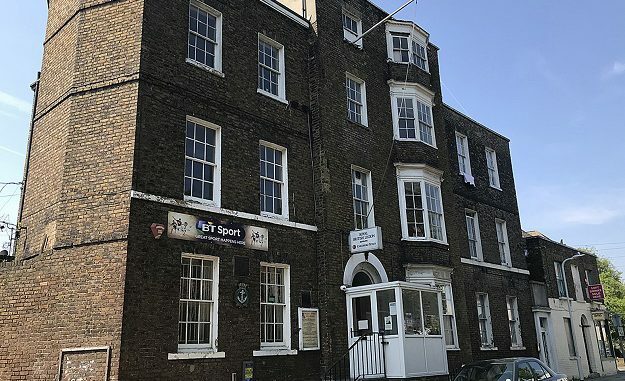 Members of the club, which is run for former veterans, will be meeting tonight at Margate’s Quart in a Pint Pot pub to discuss their options. The meeting starts at 7.30pm. The next Clive Emson sale at the same venue takes place on Monday, September 10.